<strong>Somerset Cavaliers</strong> vs <strong>Warriors Cricket Club</strong> met in the 2015 semi-final of CLNJ. Somerset won the toss and elected to bat first. Cavaliers opener Shameroy Barrington and Xavier Marshal got the team off to a flyer. Ashwin Patel had different ideas as he removed both openers in his 3rd and 4th over of his spell. Gajanand Singh and Naveed Gul started to rebuilt the inning but Gajanand went down against Bhavik Patel as he took on the deep midwicket fielder but failed to clear him. Cavaliers were loosing the wickets on a regular interval but Naveed Gul had some ideas as the stroke playing was not on card for the day so instead he curbed his urged to play the big shots and started to accumulate the score in singles and doubles and pounced on a bad delivery whenever he sees one. Naveed scored a valuable 67 runs and a handy late order batting took the Cavaliers to a score of 199. 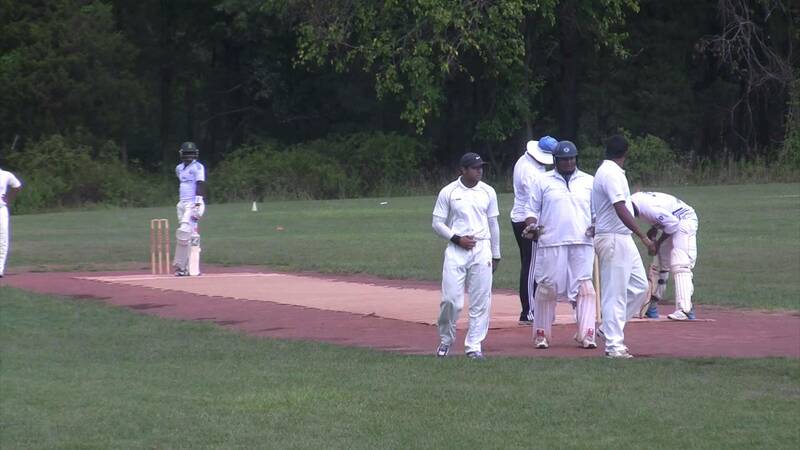 Navel Gul was the top scorer with 67, Shemroy Barrington 26, Xavier Marshal 22, Adeel Khan 18*, Jermaine Lawson 16. Ashwin Patel was the pick of the bowler as he took 3 for 43. Bhavik Patel had 2, Jatish Patel, Viraj Desai and Brijesh Patel took one wicket each.